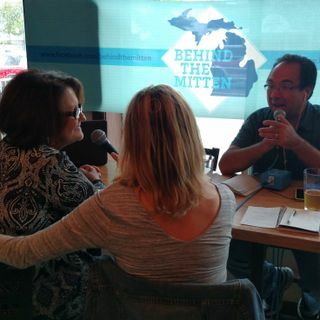 John Gonzalez and Amy Sherman of "Behind the Mitten" appeared on WOOD Radio's "West Michigan Live" with Neal Dionne to talk about this weekend's show. John and Amy talked about their trip to Upper Peninsula. This week they go "ABOVE" the Mitten where they visit Sault Ste. Marie.